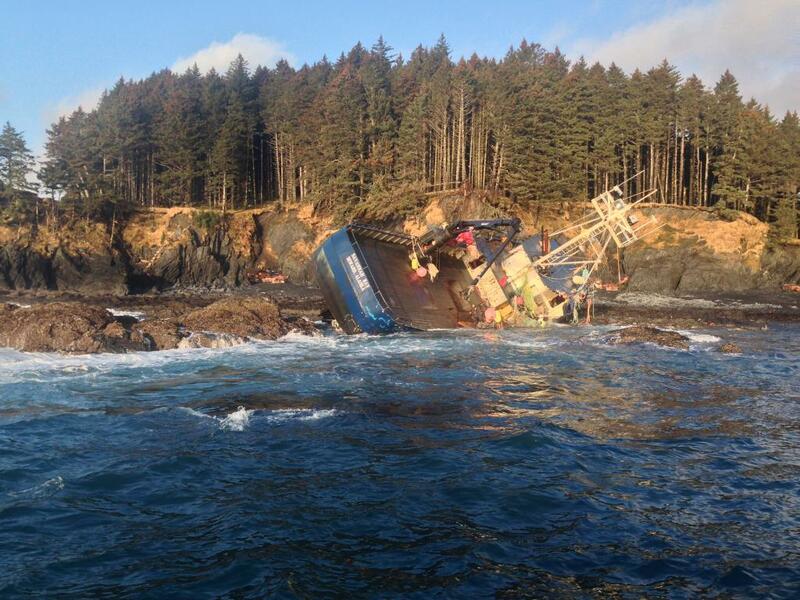 F/V Savannah Ray Defuel on Remote Alaska Coast - Global Diving & Salvage, Inc.
Commercial F/V Savannah Ray came aground on Long Island, near Kodiak, AK in rough seas. The wreck was located on rocky shore line surrounded by vertical cliffs, open on three sides to the Gulf of Alaska. Severe weather, tides and the position of the wreck made access to the site extremely difficult. Global’s salvage crews came in to assess the situation and develop a plan to mitigate the environmental threat from the fuel and oil on board the vessel. The first low tide time period at the end of February allowed the team to defuel the three stern tanks. Global’s second mission to the site in early March allowed for drilling and measuring of all tanks in the machinery space to certify all petroleum sources had been successfully removed.